Magnus Paajarvi scored two straight goals during the second period and the Ottawa Senators went on to defeat the visiting Toronto Maple Leafs 6-2 on Saturday night. Cody Ceci added a goal and an assist and Brian Gibbons, Anthony Duclair and Oscar Lindberg also scored for the Senators, who won their second straight and have a 2-1 lead in their season series with Toronto. Zack Smith added three assists for the Senators. 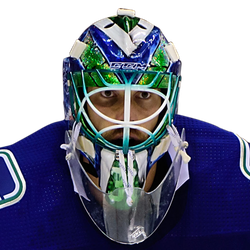 Anders Nilsson stopped 35 shots for Ottawa. 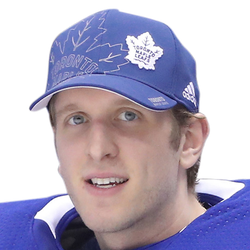 Garret Sparks made 38 saves for Toronto. Ceci scored his sixth goal of the season at 6:36 of the first period from the left circle on a pass from the right circle by Christian Wolanin. Max Veronneau also earned an assist, his first NHL point in his second game after being signed from Princeton this week. Ceci had not scored since Dec. 28, a 30-game drought. Ottawa took a season-best 17 shots on goal in the first period, while Toronto had 11. Gibbons started and finished the play, pouncing on a loose puck in a scramble to score his fifth goal this season at 6:48 of the second period. Rielly became the third defenseman in Maple Leafs team history to score 20 goals in a season on a shot from just above the right circle at 12:33 of the second. Paajarvi ended an 18-game scoreless spell with a shot from the left circle on a pass from Rudolfs Balcers at 13:51 of the second. Smith set up Paajarvi for his ninth this season at 18:50 of the second. The Maple Leafs capitalized on a five-on-three advantage when Tavares reached 40 goals in a season for the first time in his career at 5:13 of the third period. Ottawa's Smith (roughing) and Mark Borowiecki (tripping) were each penalized at 3:27. Duclair restored the three-goal lead at 8:36 of the third on a backhand from the edge of the crease. Lindberg scored his eighth goal at 14:21 of the third.